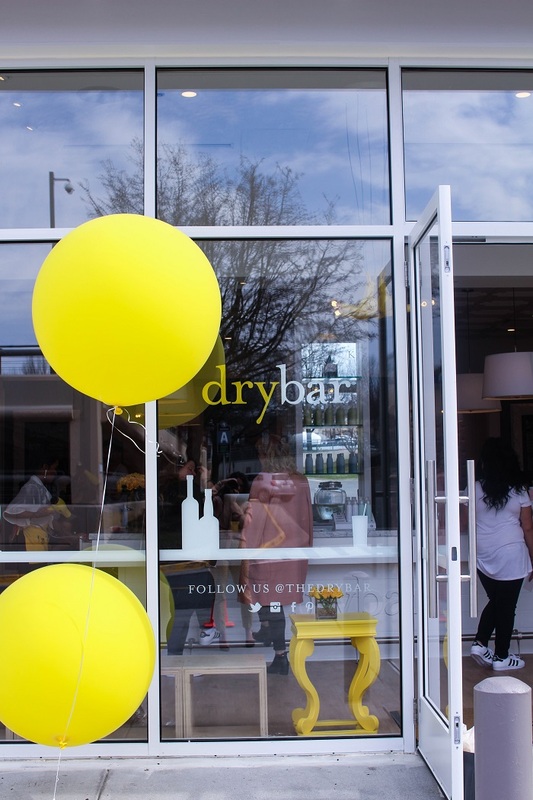 drybar tysons corner grand opening. 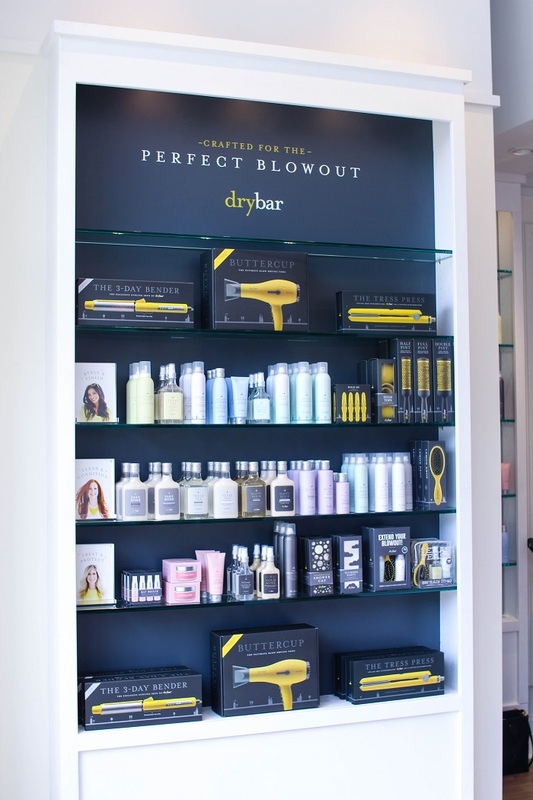 On March 10th Drybar opened their first location in Virginia in Tyson's Corner and 57th nationwide location. I got the opportunity to sneak off during my lunch break to join in on the festivities which I was super excited about because I had never gotten a blowout before. 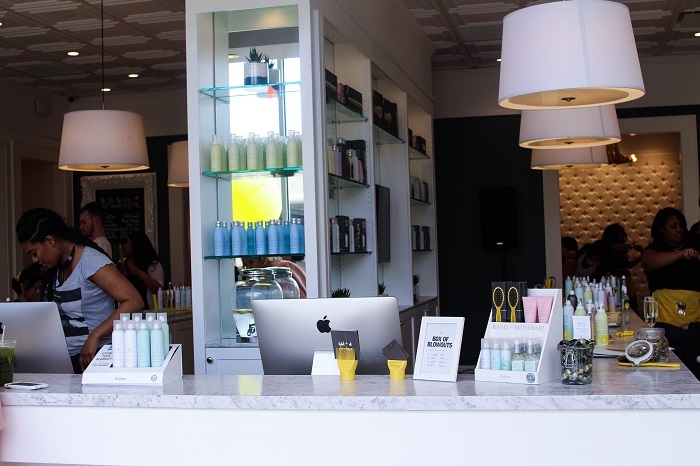 I obviously had heard praises about Drybar for awhile now from numerous friends. 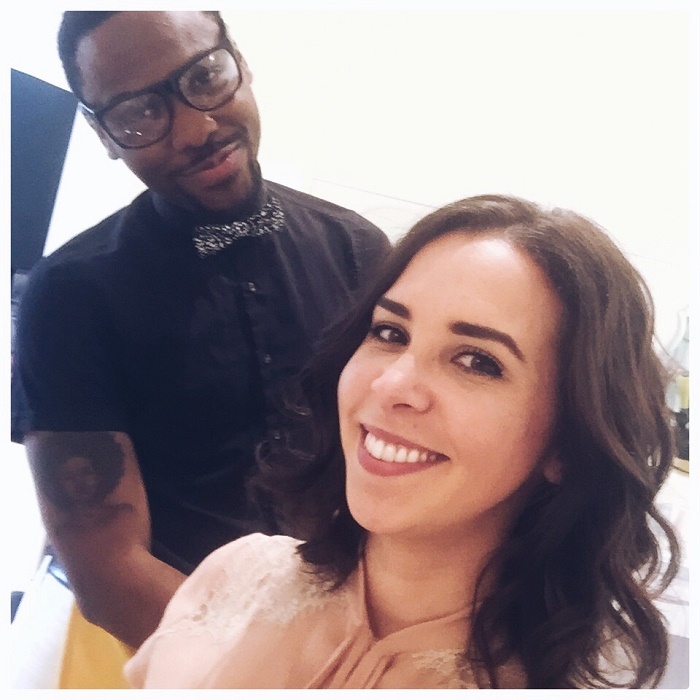 They either swear by their blowouts, products, or both but I had never taken the plunge myself. I really didn't know what to expect since have slight control issues with my hair and rarely let people cut/style it but I was willing to give it a go. When I walked in I knew I was going to love the experience. Cupcakes, champagne, fun tunes, and smiling faces greeted me for my appointment. 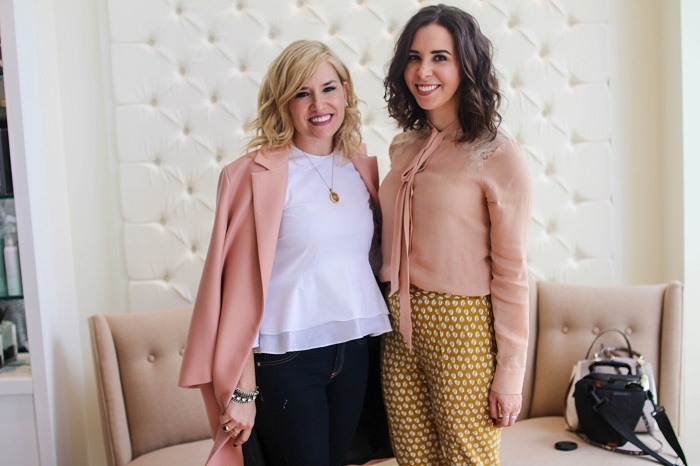 Oh and did I mention Alli Webb (founder of Drybar. above. )was there walking around chatting with clients?? I got to chat with her a little bit and she is amazingly sweet and humble. 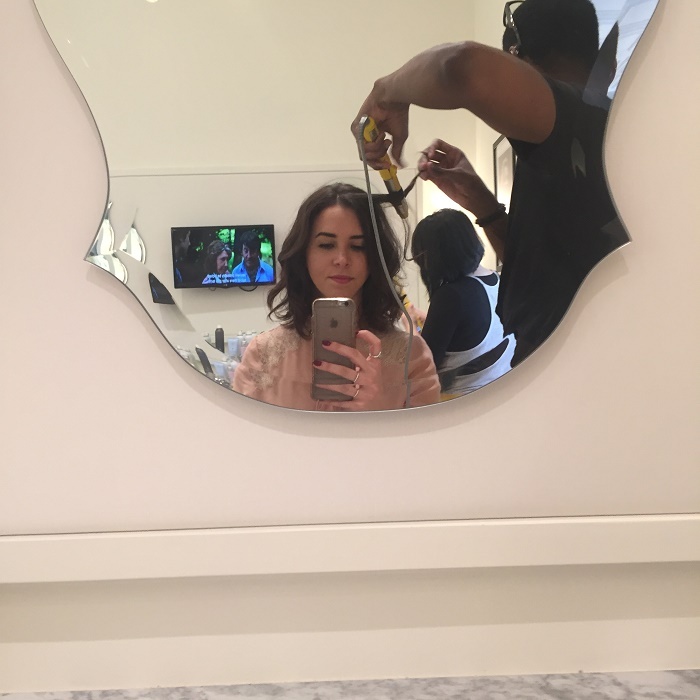 My stylist was amazing and he immediately brought me back to my chair, had me sit my stuff down, and then showed me the way to the room to wash my hair. Once that was done, it was time to pick my style from the menu (see below). I was a little lost with just the titles but luckily a lookbook was there to scan through to get visuals on all the styles. I think I would have been safe with any of them but I went with the Mai Tai (a messy tousled wave). 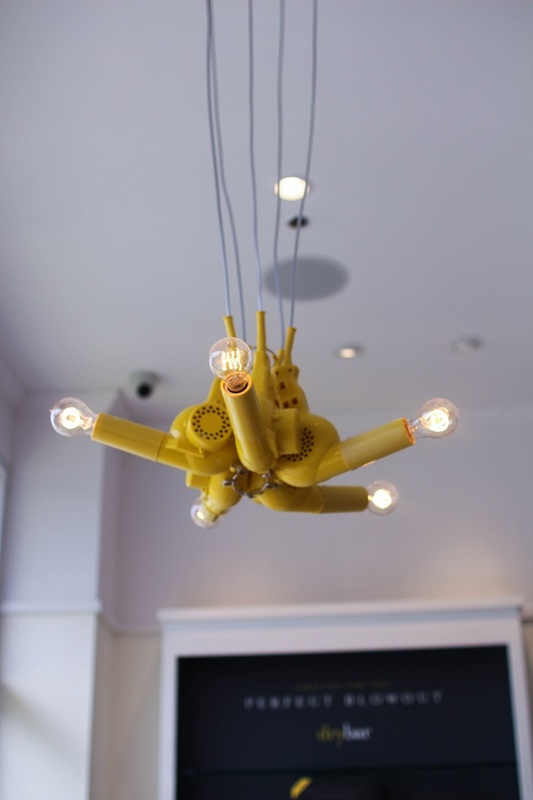 I really loved the style, speed, and service of the whole experience. I will totally head back for so many reasons/occasions because honestly - why should I wash and style my own hair when I could have someone do it for me and it lasts a few extra days PLUS you get pampered?? I mean that is a no brainer. 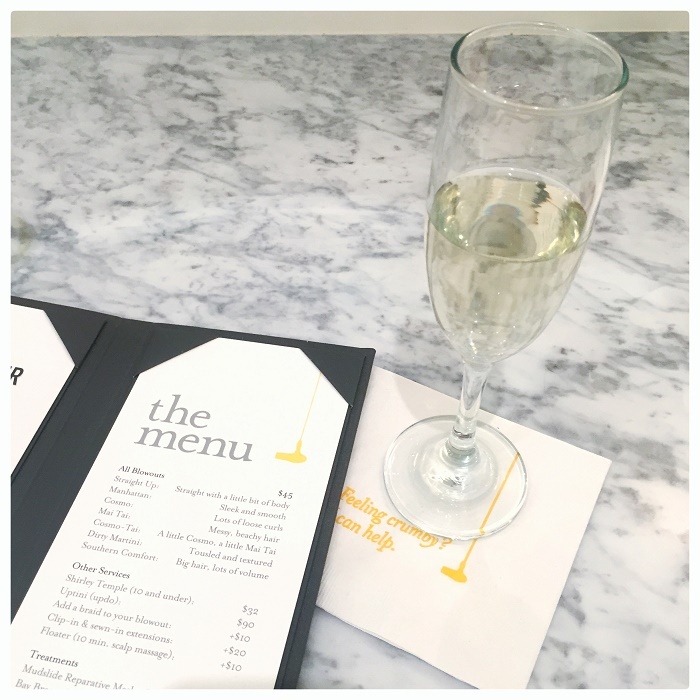 Have y'all been to the new Drybar yet?! 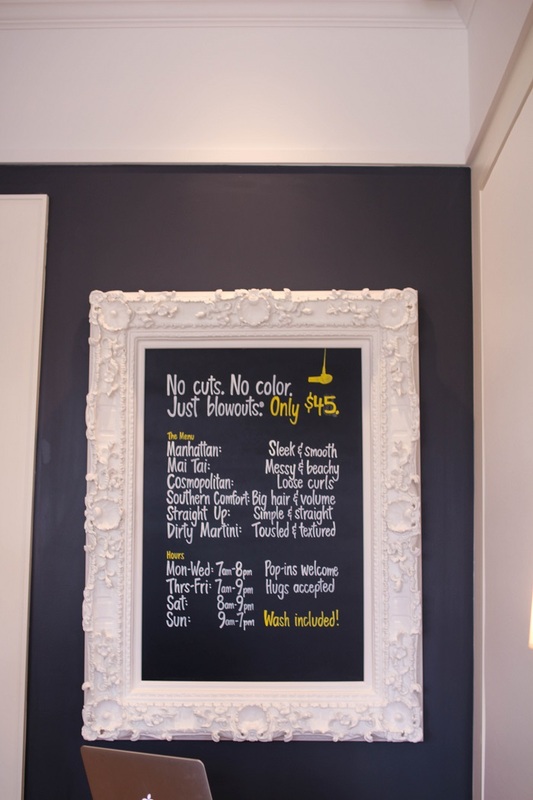 I've never had a blowout either, and am definitely making Drybar the place when I do go get one! This opening looked amazing and your hair turned out adorably!